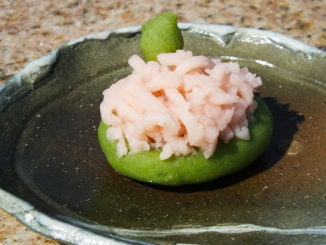 On a sunny day, I went to Ide Town. 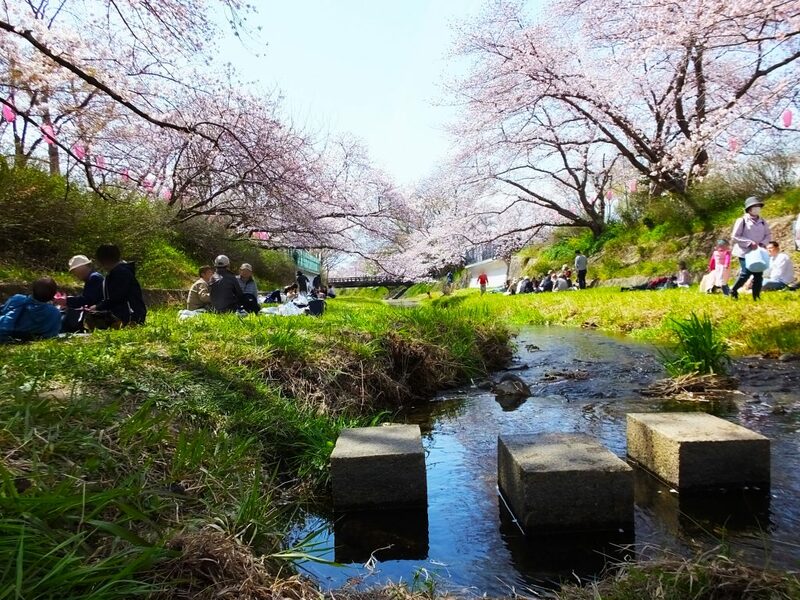 It’s far from Kyoto City, but a perfect place for cherry blossoms viewing. 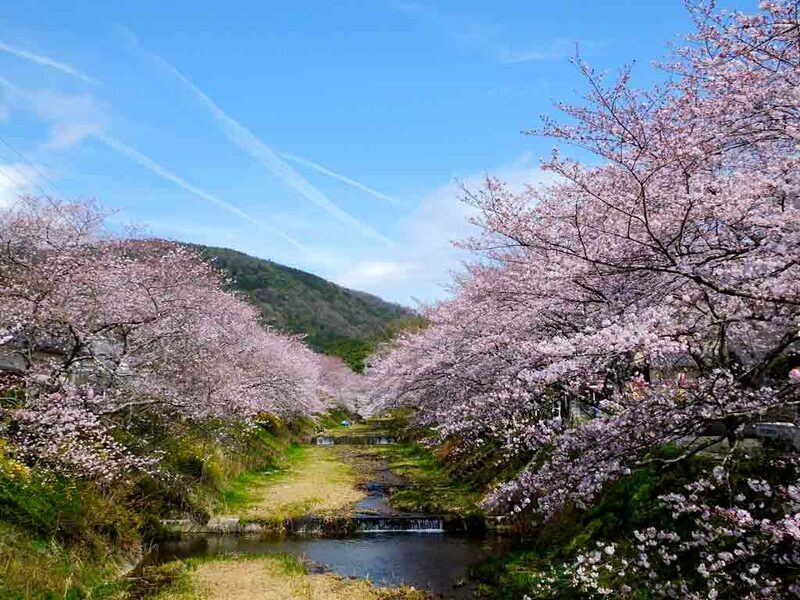 You can enjoy viewing 500 cherry trees and clear water of Tama River. Most of the visitors are local families. 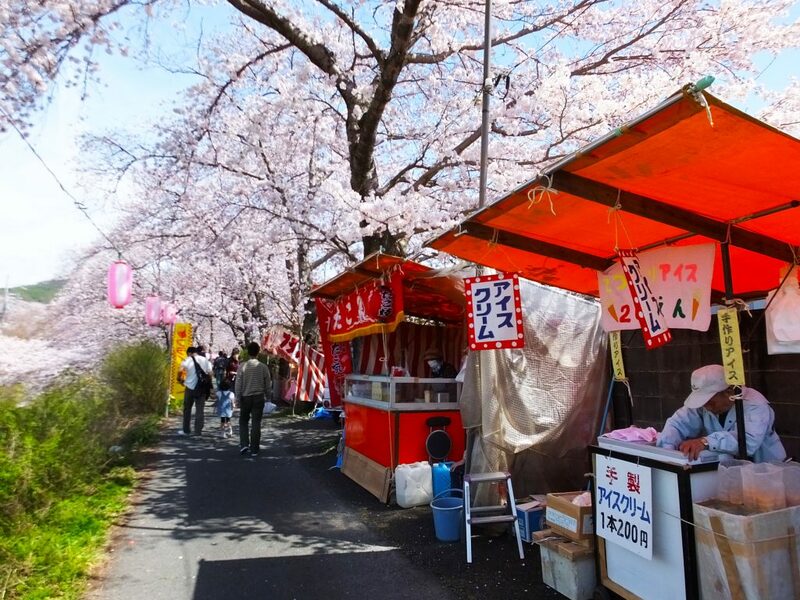 On the bank of Tama River, there were a few food stalls. 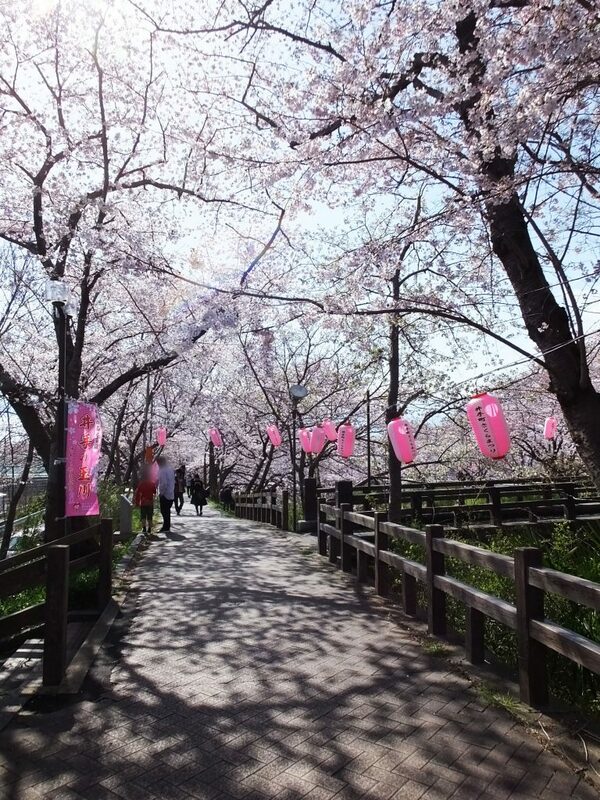 I enjoyed walking under cherry trees. When I looked up, I saw pink cherry blossoms in the blue sky. 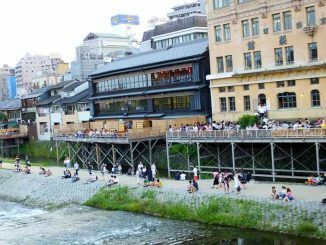 When I looked down, I saw clear water selected as 100 best water in this period, Heisei. 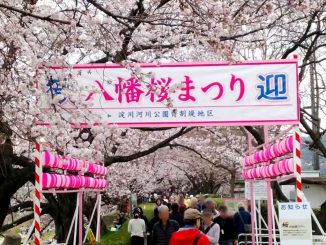 A tunnel of cherry blossoms! I sighed with admiration in spite of myself. 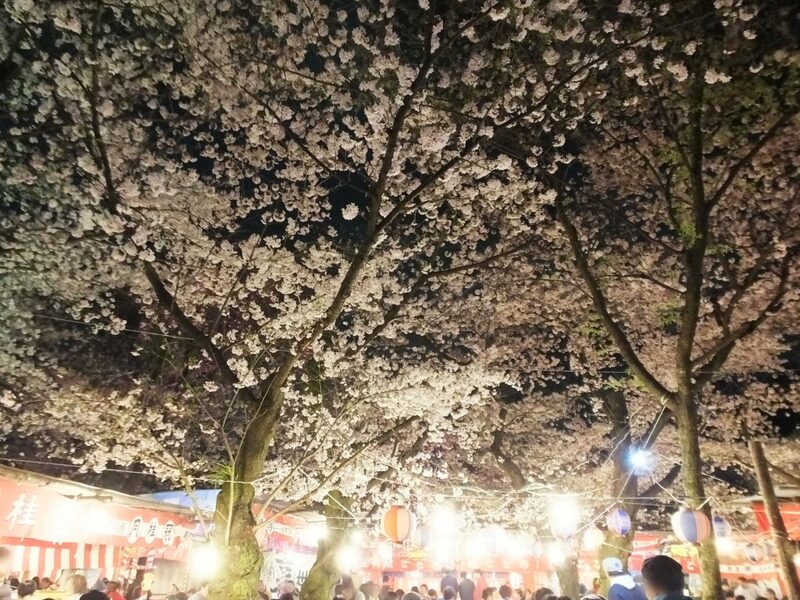 I heard cherry trees were illuminated in the evening. 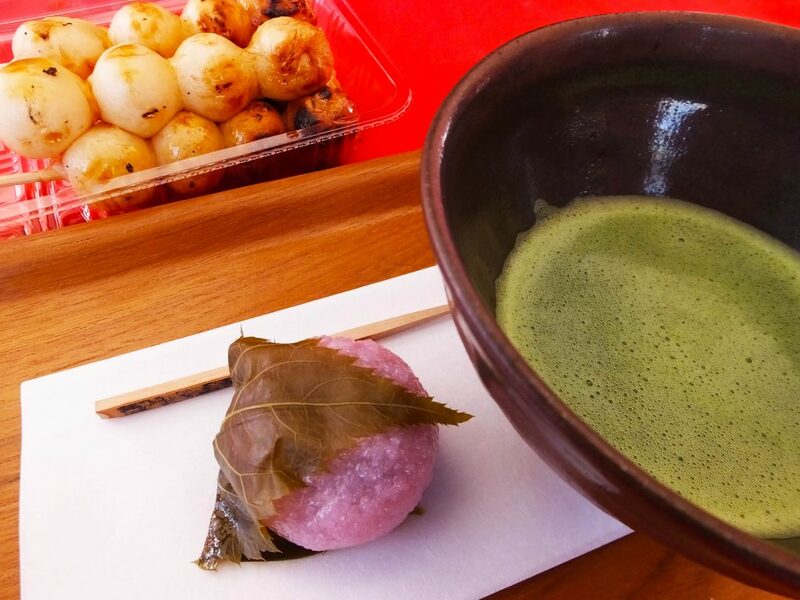 I’ve been to many cherry blossom spots in Japan, and I really recommend this place.